If i hear one more colleague, patient or doctor say, “show me the data,” I am going to puke. This short post will hopefully give you an ‘ah ha!’ moment concerning your doctors’ need for the ‘data’ before supporting a particular type of therapy of intervention to our ailments and how sticking to “the data” can be on ill-outcome for you. 1. The body of collaborative knowledge that is used to make decisions is lacking certain data. Google low back pain. You will probably not find muscle dysfunction or muscle pain as a cause of back pain at web MD or similar sites. Why? Its not on their radar because its not taught in med school nor researched much nor included in the meta analysis’ being referenced by medical professionals. The widely used reference site “uptodate” is the go to site for clinicians and doctors when wanting more info about a particular problem. When its low bak pain or neck pain the uptodate researchers will not include soft tissue therapy or massage or manual therapy as its not included in their data scouring of the research on back pain and neck pain. Lets take the idea that lowering cholesterol is always good for health. Cardiologists did a meta-study and found that men with higher cholesterol lives longer than those with lower cholesterol and concluded that they should consider recommending getting cholesterol even lower instead of asking the question, “Maybe we are barking up the wrong tree?” “Maybe cholesterol is not the killer we thought it was?” These cardiologists cannot take a step back as their confirmation bias towards cholesterol being the killer on heart disease is too powerful and blinding them. And I used to think most pain was muscular (as a soft tissue guy) but have since learned umm, that ain’t the case Marty. Confirmation bias is very very strong. 4. Corporate influence on research has left the research world a big QUESTION MARK as to can you believe the results are accurate and truthful? He explains how independent research on cell phone radiation shows a correlation to illness while cell phone company and telecommunication industry funded research does not! Data is two fold: Informed base and data based. What goes on in my private practice as well sa data should influence what does on in my office. Not just one or the other. I suggest asking broader questions to you therapists and doctors and ask them to think outside the “data box” concerning treatment for pain or what ever ails you and not make a decision on the “data” pooled from data based that are lacking in scope and outcomes of trials and research is skewed by bias and corporate financial outcomes. Don’t just get two opinions get different expert opinions. The father of EBM, David Sackett said it best. EBM is “integrating individual clinical expertise with the best external evidence”. For the full story please read on: Below is my email reply to the editor at a mens magazine which highlighted ART as the thing to do for muscle injuries. I am writing to reply to the information concerning muscle injury treatment with “ART” in the article on “Optimizing Mark Teixeira.” The end of the article describes the various modalities Mark uses to stay healthy and recover faster from injuries. One such modality is “ART” or Active Release Technique. I am happy to see that you are promoting soft tissue therapy for muscle injuries, since muscle is widely overlooked by doctors, while being a major source of pain and dysfunction in muscles and joints. 1. Massage Therapy has a growing body of knowledge validating its effectiveness, while ART does not. 2. 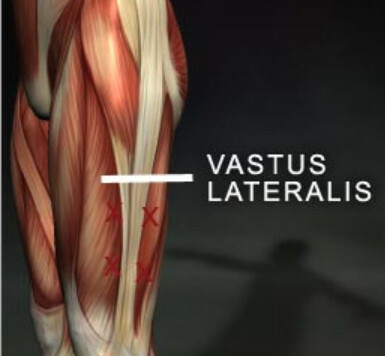 More importantly, when it comes to muscle therapy, ART is the “sizzle” and Massage Therapy is the “steak.” A competent massage therapist with training in deep tissue, sports, trigger point, medical, myofascial or orthopedic massage therapy will provide a much more comprehensive session in addressing the injured and dysfunctional muscle and muscle groups. What is ART? ART is limited to using your hand, finger or thumb to pin a muscle down while putting the muscle and associated joint through a series of range of motion movements. Massage Therapists have been going far beyond “pinning and stretching” muscles long before there was a “patented and state of the art soft tissue system/movement based massage technique” as described on the ART official website. ART is easily mastered by chiropractors with limited experience with massage. However, good Massage Therapists utilize a much wider arsenal of techniques as part of a therapeutic progression to address muscle injuries, while an ART-trained chiropractor has a very limited toolbox of soft tissue therapies. I think the combination of ART and spine and extremity adjustments for athletes is a good start, but when you have a muscle injury and dysfunction why not go to the muscle expert? This is where a trained Massage expert shines. 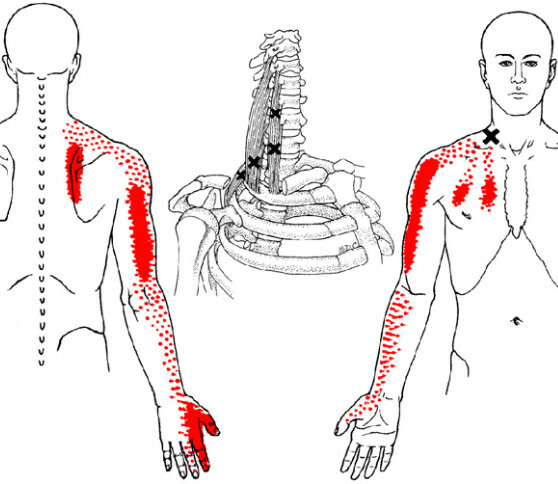 In addition to taking a broader and more comprehensive approach to muscle inquiries, a well-trained Massage expert will look for and treat trigger points (a.k.a. myofascial pain and dysfunction), another ignored cause of muscle pain and dysfunction that is discounted by most medical professionals. Many massage and physical therapists and most chiropractors know of trigger points, but most do not know how to effectively treat them. If you already covered Massage Therapy in your magazine, I may have missed those articles as a new reader. Your readers will appreciate information on sport and muscle injury focused Massage Therapy to address and prevent injuries. Explaining to them in simple terms what a Massage Therapist can do for them (just like the ART piece) will allow them to make better informed decisions and receive the best possible care from the ART-trained chiropractor or / and a well-trained Massage Therapist. Massage Therapy is growing as one of the most widely used CAM (complementary and alternative medicine) therapies today. I am honored to be an educator and professional in its ranks, and would love to share some of my knowledge with your readers. Would you be open to a discussion on how I might contribute via an article, quick fact chart or blurb? You can reach me via email or phone number below. If you have any articles on massage therapy can you please direct me to them.? I look forward to sharing more should this interest you. I was talking to my friend and acupuncturist Abe Rummage of Accu-care clinic about health. He pointed out from the traditional Chinese medicine (TCM) perspective that having good muscle tone, good cardiovascular capacity and flexibility does not necessarily equate to health. Say What? It makes sense since TCM is not symptom based and compartmentalized as the western medical model is. TCM looks at the entire person for a global perspective and not just symptoms (or the lack of them). This is a key point. If you do not have any symptoms you are healthy but we also know this is not true. Cancer, arthritis, muscle dysfunction and heart disease takes years to develop and show up as a “symptom,” and you say that it “came out of no where!” But the truth is your body and maybe your emotions were not in balance from the get go. I feel Abe’s comment to me behooves us to look at our health from a larger perspective. than just the old western health model. And I use “old” here as many doctors and practitioners see the larger view and the need to integrate body, mind and spirit. Physical fitness has several components: Muscular strength, muscular endurance, muscular flexibility and cardiovascular capacity. But this does not mean you are healthy. Why? Health is more about your entire body, all its organs and systems, including your mind, emotions and also your spirit. Health is about these elements working optimally, connected and integrated. Achieving good health also means giving your self time to relax and renew regularly. One synonym for “health” is well-being. I like this. It denotes you, a being, is well, which is synonymous with the word “glowing.” You know that look of a person who is glowing-they radiate peace, health and vitality. I wonder how many people that work out, stretch, run or bike that also take an antacid or purple pill, or anti-inflammation or anti-anxiety or sleep prescription? Or how many people who identify themselves as religious or spiritual are very out of shape (and also on these medications). And I wonder how many Americans actually take time to relax and restore? (which does not include T.V., a few glasses of wine, exercise or sleeping. How many of you have heard the story of the executive in his 50’s who drops dead of a heart attack? (And they did not find a heart defect afterwards in autopsy). I hear this story once every few years at the fitness center or at synagogue. I urge you to consider adding in some relaxation into your health model and also into the exercise regimen: An easy thing to do would be take 10 minutes after vigorous exercise and laying on your back deep breathing or stretching slowly with deep breathing for 10-15 minutes (both would be ideal). What aspect of the larger “health” model are you needing to address more? Exercising more, connecting to your community more? Starting a meditation or breathing practice? Carving out time to rest more often? For example I need to spend more time with people and less time at my computer! (and meditate more regularly). *Milk and Honey to taste which is optional. (Marty ads honey after simmering is done so no need to do each single serving). Bring water to boil. Add all spices except black tea bag. Boil 30 -45 min. Longer is stronger. Finally, add black tea bag and boil another 2-5 min(then remove) . **The black tea is added last because it amalgamates the spices and sort of seals them. Also the tannins help assimilate the spices into the body. If adding milk & honey, do so after adding the tea bag and letting it steep– OR BETTER add milk and honey to individual cup or a small batch. That way you can store the raw tea in the fridge and prepare with milk and honey as you go. After adding milk and or honey, bring to a boil again, then shut immediately or keep on lowest flame to keep warm. **Milk (Marty uses almond or soy milk) helps to ease the shock of the spiciness on the stomach and intestines so drink with milk if you’re sensitive. Note: for a stronger tea you can let the spices sit and sink to the bottom. If the tea gets really strong you can cut it with milk or reconstitute with a little water. I (Marty) usually make a big batch Sunday afternoons and it makes my home smell like warm spices for two days. When Yogi Bhajan (the late Kundalini yoga Master) was a military commander in India there was an epidemic among the troops. He ordered all of his men to fill their canteens with yogi tea and drink nothing else, not even water. His Battalion was the only unit that didn’t get sick! Yogi tea purifies the blood, lungs and circulatory system. It cleans the liver and has many more unseen benefits. It’s good to drink this tea every day. 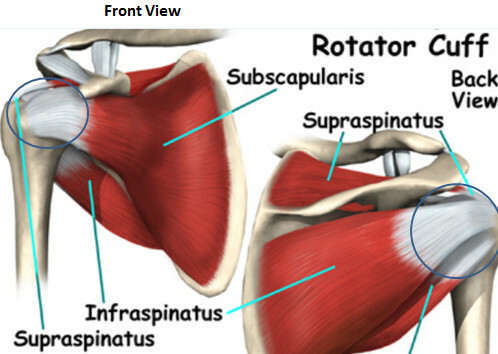 understanding of the shoulder, common problems and easy solutions. (Massage professionals) registering by Oct 1. Got pain? Are you on a bisphosphonate (Fosamax, Boniva, or Actonel) to prevent bone density loss or a statin to lower cholesterol? Both are prime culprits in causing muscle pain that is well documented. In my practice if a client is on one of these drugs and we remove Trigger Points and other causes of pain, the drugs are too blame for the lingering pain. I blog this in hopes if you are on one of these drugs to go, “hhhmmmmmmmmm, lets take a closer look at this.” I write this as a consumer, like you, and not as a Massage Therapist. And if you do go “hhhmmmm” please research it a bit more and make a sound decision for yourself. Both drugs are powerful and the medical and pharmaceutical systems has scared us into believing that your lack bone density and preventing heart disease are deficiencies in a synthetic prescription. I would like like to suggest there are ways to increase bone density and have healthy heart and arteries without these drugs. But if you are on one please make a sound decision and talk to your doctor before reducing the dosage. The drugs are powerful and need to be taken very seriously. (they have altered your body’s homeostasis – and not for the better). The short version is take CoQ10 if you are on a statin. Statins attack the same pathway used by cholesterol and CoQ10’s bio-availability. And by the way Cholesterol is not the cause of heart disease…. Read this article by a famous MD and decide for yourself. If you do not agree than there are ways to lower cholesterol without drugs as in MORE exercise and diet changes and supplementation. And why has the AMA lowered the level of “high cholesterol” from 280 down to 260, the 240, then 220, etc? MONEY for drug companies. I can also send you a PDF based with medical research showing that statins do not prevent coronary incidents in people who have not had one yet. (ARCH INTERN MED/VOL 170 (NO. 12), JUNE 28, 2010). BUT a statin does help those who have had a coronary incident prevent further incidences. If you are on a Bisphosphonate drink a lot of alkalized (mineralized) H2O, do resistance training (weights, bands, yoga, pilates) three x week, eat foods that nourish your bones (not fast food, heavy meats, excessive bread intake, starches – but fruits, veggies, fish, beans, etc). Your body maybe loosing bone density due to acidosis. The body’s Ph is too acidic (due to diet – see food choices in last sentence, and stress) and goes to fort knox (the bones) and draws calcium out to alkalize the system,resulting in bone density reduction. Life is meant to be enjoyed, pain free, and our bodies can find balance and freedom from pain given the right tools and habits. Drugs are not those tools but better nutrition, lots of movement and stress reduction. Please contact me to continue this conversation.